HOUSTON, TEXAS (July 23, 2017) Houston Baptist University placed five players on the Southland Conference Preseason All-Conference Football Team as announced by the conference on July 13, 2017. The Huskies were led by first team selection Garrett Dolan. The 6-2, 240-pound junior linebacker played in 11 games in 2016, tallying 135 tackles (47 solo), along with 15.5 tackles for a loss. He also had two sacks for a loss of 20 yards. Four Huskies were named to the second team squad, including junior place kicker Alec Chadwick, senior linebacker Cody Moncure, senior defensive back Derek Broussard, and senior punter Christian Guzman. Chadwick was 16-of-25 in field goals and 21-of-21 in extra points in 2016. Moncure tallied 73 tackles in nine games while Broussard 45 tackles and one interceptions in 11 games. Guzman punted 80 times for 3,328 yards; averaging 41.6 yards. The Huskies finished the 2016 season with a 4-7 record. In Southland Conference action, the Huskies placed seventh with a 3-5 record in the nine-team conference. 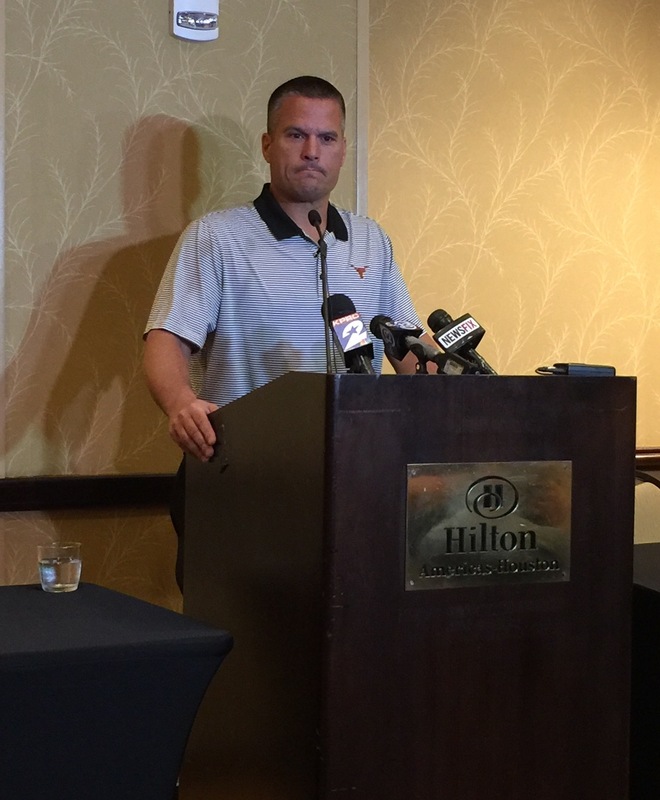 They are picked ninth in 2017 in the eleven-team conference, with the addition of Abilene Christian and the University of the Incarnate Word joining official football play in 2017. MIAMI, FLORIDA (July 22, 2017) The Confederation of North, Central America and Caribbean Association Football (CONCACAF) announced this evening the decisions taken by the Gold Cup Disciplinary Committee, in the cases regarding anti-sporting behavior by two El Salvador players during the CONCACAF Gold Cup quarterfinal match against the United States played July 19 in Philadelphia. Player Darwin Ceren receives a three-match ban from participating in the next official matches with the El Salvador national team. The sanctions were communicated to the El Salvador Football Federation, at which point they took immediate effect. Houston Dash extend unbeated streak to six after 1-0 win over Boston. Nichelle Prince after her first-half goal against Boston. HOUSTON, TEXAS (July 22, 2017) After a 90-minute severe weather delay that dropped over one inch of rain on the downtown Houston area, the Houston Dash and the Boston Breakers took to the pitch for their scheduled NWSL game inside BBVA Compass Stadium on late Saturday evening. Scoring the only goal of the match in the first half, the Dash pulled out a 1-0 win and extended their unbeaten streak to six. The Dash struck for the lone goal in the 23rd minute when Nichelle Prince took a pass from Andressinha and sent the ball into the net past Breaker goalkeeper Abby Smith. It was the third goal of the season for the Canadian who played her college soccer at Ohio State and the third assist for the Brazilian, who played in all four matches for Brazil at the 2015 FIFA Women's World Cup. After some spirited play by both sides, they headed to the locker room at halftime with the Dash lead holding at one. In the second half, both teams seems to slow down a bit; either focusing on more precise play or due to the humidity after the earlier rainfall. Either way, neither were able to find the back of the goal after numerous attacks and the defensive play of the goalkeepers. 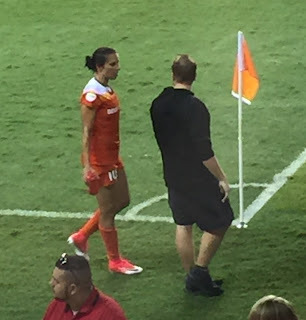 The game saw the return of forward Carli Lloyd after her one-game red card suspension from the Dash game against the Portland Thorns on July 8. Lloyd returned to the Dash in the tenth game of the season on March 28 after her stint of play for Manchester City. Houston was 2-7-0 during Lloyd's absence and 4-0-2 since she returned to Houston. Lloyd talked about the win with the press after the game. The victory also gave the Dash their first back-to-back home wins in franchise history and pushed the record against Boston to 6-2-1. Their next match will be on Saturday, August 5 where they will face the Thorns at Providence Park in Portland. BUDAPEST, HUNGARY (July 22, 2017) Great Britain's Tom Daley shocked the crowd at the Danube Arena in Budapest in winning the 10-meter platform final at the FINA 17th World Championships on Saturday. The 23-year-old took the gold emdal with the score of 590.95 points, knocking off 2016 Olympic Champion Chen Aisen of China, who plced second with the score of 585.25 points. Daley, who was eliminated in the semi-finals of the same event at the Rio Olympics last year, dominated in the final to give him his second individual world title. In 2009 in Rome, he won his first individual world title at the age of 15. Earlier in these championships, he combined with fellow Brit Grace Reid to win the silver medal in the mixed 3-meter springboard. Daley is coached Jane Figueiredo. Figueiredo, who coached Russian female divers to four Olympic medals, was the diving head coach at the University of Houston for 23 years. Texas senior Doug Ghim won the 51st Pacific Coast Amateur Championship by two strokes on Friday. AUSTIN, TEXAS (July 22, 2017) Texas Men’s Golf senior Doug Ghim won the 51st Pacific Amateur Championship after two-putting the final hole at Chambers Bay on Friday. Ghim's victorious final score was 70-67-69-69-275 (-9). He was the only player to shoot under-par in all four rounds. He entered the day with bogey on a difficult par-4, but bounced back with birdie on the par-4 second and a holed-out bunker shot for birdie on the par-4 third to take the lead. After making another birdie on the par-4 7th hole, Ghim was two-under on his day, -9 for the championship making the turn and holding a three-stroke lead in his group and on the field. Things quickly became interesting for the Longhorn after making the turn. After pulling his drive left into the menacing and gnarly rough, Ghim was forced to pitch backwards into the second cut of rough on his second. His approach shot from there would fly a couple yards long, leaving himself a difficult up-and-down. He was unsuccessful, dropping two shots. Just like that, the championship went from smooth sailing to a single stroke differential, a number that remained constant to the final putt. Ghim calmly hit the green in two shots, giving himself two putts on a 30-foot uphill line to the same back left hole location. After Zalatoris was unable to get up-and-down for birdie and join Champ at -8, all that was left for Ghim was to get down in two putts for a single-stroke margin of victory. His caddy for the week, who was his father Jeff, helped line up the putt and Ghim calmly rolled the first putt to three feet. After both Springer and Zalatoris putted out, Ghim stepped up and knocked the winning put into the back of the hole with his family looking on and cheering in the gallery. Texas Longhorn alumnus Jordan Spieth won the US Open on in 2015. 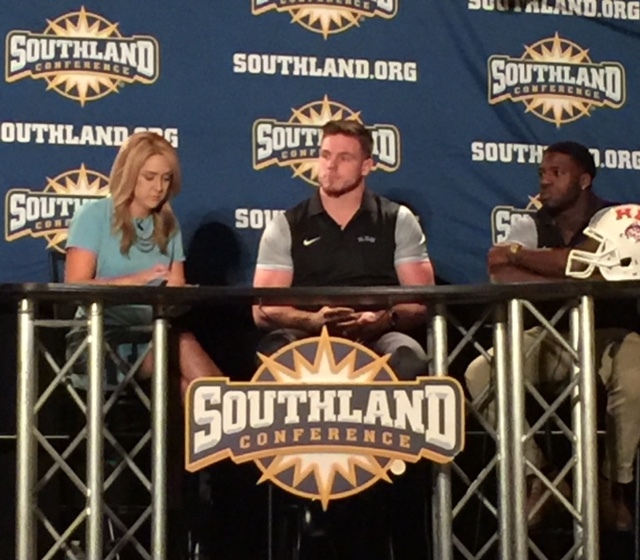 HOUSTON, TEXAS (July 20, 2017) Sam Houston State University received 20 first place votes and the top spot in the pre-season football poll, as reveled at the 2017 Southland Conference Football Media Day. The Bearkats, who were 12-1 in 2016, return 13 starters and 55 lettermen and are picked to win the conference. They received 200 points in the poll, 23 points ahead of second place Central Arkansas . McNeese State is picked thrird, with 163 points, followed by Southeastern Louisiana (4th, 136 points), Nicholls (5th, 133 points) and Stephen F. Austin (6th, 114 points). The Lamar Cardinals palced seventh (68 points), followed by Abilene Christian (8th, 66 points), Houston Baptist (9th, 56 points), Northwestern State (10th, 49 points) and University of the Incarnate Word (11th, 48 points). The Southland Conference kicks off the 2017 schedule on Sunday, August 27, 2017 with the Bearkats hosting Richmond. El Salvador in thier win over Jamaica in the 2017 Gold Cup. 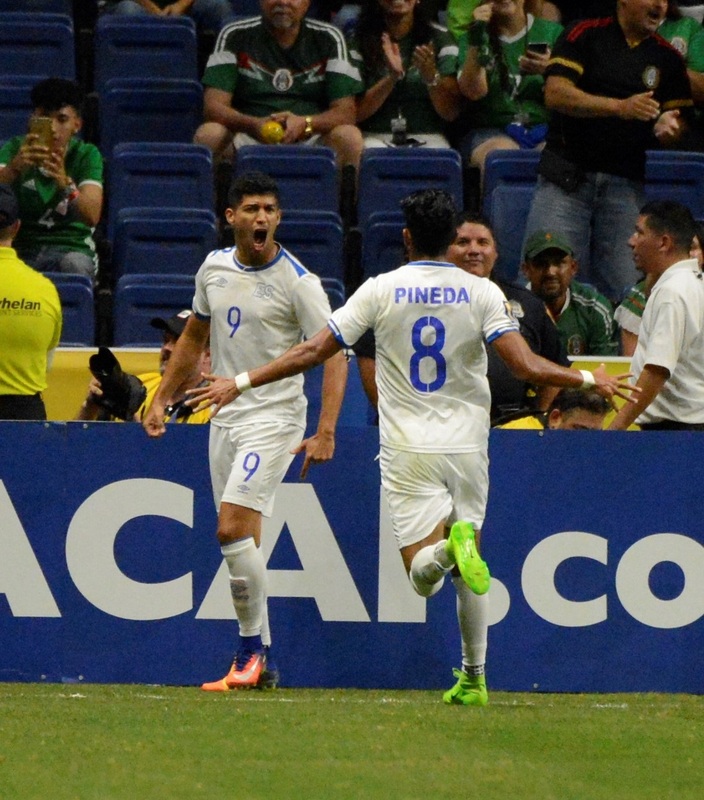 SAN ANTONIO, TEXAS (July 16, 2017) Jamaica and El Salvador battled to a one-all draw in the final game for both teams in Group C action of the 2017 CONCACAF Gold Cup at the Alamodome in San Antonio, Texas on Sunday, July 16, 2017. The Reggae Boyz finish the group stage of the tournament in second place with a 1-0-2 record (5 points). Los Cuscatlecos finished with four points and a 1-1-1 record. Both teams will advance to the knockout stage of the tournament, with El Salvador having the best record of third place teams. El Salvador found pay dirt in the 15th minute with a solid shot from forward Nelson Bonilla. It was his second goal of the tournament, having scored in the 10th minute in La Selecta's 3-1 loss to Mexico on July 9. As a result of his score and play, he was selected the Man of the Match. Jamaica had a chance to even the score in the 45th minute when midfielder Ewan Grandison came rushing down the right side and drilled a shot from the edge of the penalty area, which was deflected by goalkeeper Derby Carillo. After one minute of added time, both teams headed to the locker room at half time with El Salvador leading 1-0. The Reggae Boyz finally did even the score in the 64th minute when they were awarded a penalty kick. Forward Darren Mattocks nailed the shot to tie the score. With the score, Mattocks, who plays professionally for the Portland Timbers, became Jamaica's all-time top score in the Gold Cup. He made his debut in Jamaica's 2-0 win over El Salvador on August 15, 2012. Two yellow cards were issued in the match; the first to Jamaica's Romario Williams in the 47th minute and the second to El Salvador's Narciso Orellana in the 63rd minute. The Reggae Boys pushed their overall Gold Cup record to 14 wins, 17 loses, and seven draws. La Selecta overall record is eight wins, 16 loses, and seven draws. 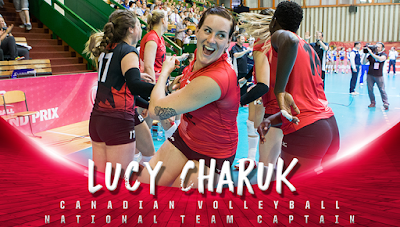 HOUSTON -- Former University of Houston Volleyball middle blocker Lucy Charuk is serving as Captain for the Canadian Women’s Indoor Volleyball National Team at the FIVB Volleyball World Grand Prix. Charuk, a four-year letterwinner for the Cougars (2007-08, 10-11), was a three-time Conference USA First-Team All-Conference and three-time AVCA Midwest All-Region selection. She garnered AVCA All-America Honorable Mention honors in 2008 and 2010 before picking up Houston’s first All-America laurel since 1994 with a Third-Team selection as a redshirt senior in 2011. A force at the net, the native of Tswwassen, British Columbia, is still the program career record holder for hitting percentage (.361). Charuk also ranks second all-time in career total blocks (526) and block assists (440), third in blocks per match (1.24), fifth in solo blocks (86) and eighth in kills (1,250). She is also the single-season record holder for hitting percentage (.387, 2011) and block assists (140, 2008). Charuk has been competing for Team Canada since 2014 and served as Captain since 2016. Canada returns to competition July 15-16 in San Juan, Puerto Rico, before retuning to the maple leaf country for matches July 22-23. Dolan named first team; Chadwick, Guzman, Moncure, Broussard make second team. HOUSTON, TEXAS (July 13, 2017) Senior linebacker Garrett Dolan was an automatic first-team selection, while senior linebacker Cody Moncure, senior cornerback Derek Broussard, senior punter Christian Guzman and junior kicker Alec Chadwick were second-team honorees on the Preseason All-Southland Conference Football Teams released by the league office Thursday. Dolan became the first Associated Press and STATS All-America selection in HBU history last season and was also a finalist for the Buck Buchanan Award, which honors the FCS Defensive Player of the Year. The Mont Belvieu, Texas, native was an All-SLC first-team pick, his third-straight selection, after leading the league and ranking second in the FCS with 12.3 tackles per game. Dolan recorded 135 tackles (47 solo), 15.5 for losses, two sacks, two forced fumbles, one fumble recovery, three quarterback hurries and three pass breakups. He tied his own school record with 18 tackles and recovered in the 2016 season-opener at Central Arkansas on Sept. 1 and had 17 tackles in the Huskies’ overtime victory over Abilene Christian on Sept. 17. 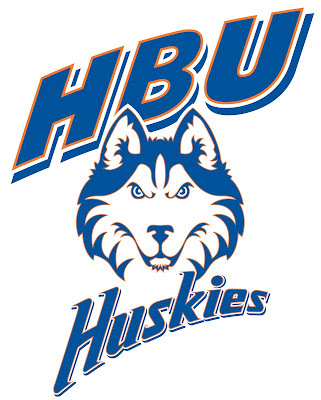 Dolan made seven tackles and a sack for a 15-yard loss, which resulted in a fumble returned for a touchdown in a win over Texas Southern on Sept. 10 and had 14 tackles and forced a fumble, which set up HBU’s first touchdown in a victory at Lamar on Oct. 29. Broussard earned All-SLC honorable mention last season, playing in all 11 games and ranking sixth on the team with 45 tackles, one interception, one forced fumble and a team-leading nine pass breakups. The Beaumont, Texas, native tied for sixth in the league with 10 passes defended and made a season-high eight tackles, broke up two passes and forced a fumble in the Huskies’ win over Abilene Christian on Sept. 17, 2016. Broussard made his interception in the season finale at Incarnate Word and had a 20-yard return. He was also named to the Southland Conference Commissioner’s Academic Honor Roll. Guzman has been selected to the All-SLC teams twice, earning honorable mention last season and second-team honors as a freshman. The Brookshire, Texas, native enters the season with the third-longest yards per punt average in conference history at 42.9 yards. Last season, Guzman punted 80 times for a 41.6-yard average, ranking third in the league. He also had 11 punts of 50-plus yards, 22 inside the 20 and 21 fair catches and recorded a season-long 59-yard punt against second-ranked Sam Houston State on Sept. 24. Moncure earned All-SLC honorable mention last season, ranking second on the team behind Dolan with 73 tackles (32 solo), eight for losses, 2.5 sacks and two quarterback hurries. The Richmond, Texas, native recorded a season-high 12 tackles in the Huskies’ 31-24 victory over Stephen F. Austin on Nov. 12 and made 11 stops against Southeastern Louisiana on Oct. 22 and again in the season finale at Incarnate Word on Nov. 17. The Huskies begin fall practice on Wednesday, Aug. 2 in preparation for the season opener at Texas State Sept. 2 in San Marcos. Alphonso Davies (12) scores the first goal of the match for Canada. HOUSTON, TEXAS (July 11, 2017) Canada and Costa Rica battled to a one-all draw at BBVA Compass Stadium in Houston in the second match for both teams in Group A action of the 2017 CONCACAF Gold Cup. Canada struck first in the 26th minute when midfielder Alphonso Davies drilled the ball past Costa Rica goalkeeper Patrick Pemberton to put The Canucks up 1-0. The Ticos came back and scored the equalizer in the 42nd minute when defender Francisco Calvo headed a shot into the net off a corner kick. Canada won the Gold Cup title in 2000 in 12 appearances, dating back to 1991. When The Canucks beat French Guiana 4-0 on Friday, July 7, 2017, it was the first match they had won in their previous eight Gold Cup games. Prior to that, they last tasted victory on June 11, 2011 as Dwayne DeRosario netted the lone goal from the penalty spot in a 1-0 win over Guadeloupe. The next opponent for Canada will be Honduras. They will face their final Group A opponent on Friday, July 14 at Toyota Stadium in Frisco, Texas. Costa Rica downed Honduras 1-0 on July 7 at Red Bull Arena in Harrison, New Jersey. Their best finish in previous Gold Cups was runner-up in the 2002 final against the United States at the Rose Bowl. 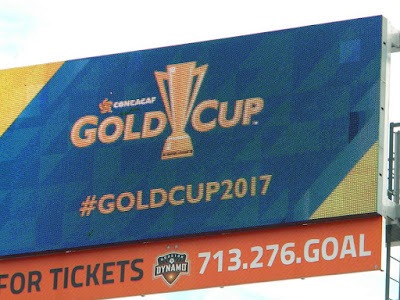 Their overall record is 16 wins, 15 draws, and 19 loses in Gold Cup action prior to 2017. 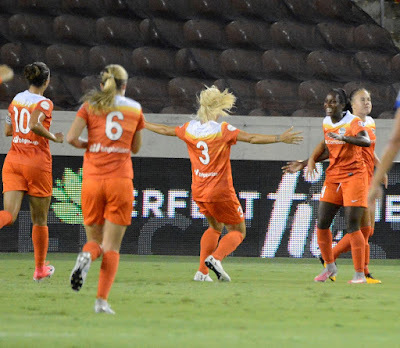 HOUSTON, TEXAS (July 8, 2017) On Saturday, July 8, 2017, the Houston Dash led for the majority of the match, but had to settle for a one-all draw as the Portland Thorns scored in added time in the second half. 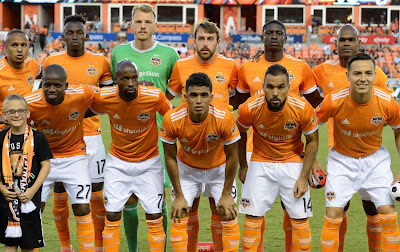 The match, which began after a 90-plus minute weather delay at BBVA Compass Stadium pushed the Dash record to 4-7-2 (14 points) with the Thornes posting a 5-4-4 (19 points) record. It did not take long for the Dash to get on the scoreboard, when midfielder Janine Beckie took an open shot from the center of the box. She drilled the ball past Portland goalkeeper Adrianna Franch, off the cross from forward Rachel Daly. The goal was the first of the season for Beckie, who played her college ball for the Texas Tech Red Raiders. The assist was also the first of the season for Daly, who was the first England player selected in the NWSL college draft (in 2016). in added time of the second half. corner from 25 yards. Forward Carli Lloyd, who was serving as the Dash captain, was issued a red card for aggressive foul on Mallory Weber. When the Dash play the Washington Spirit on Saturday, July 15, they will be without the services of Lloyd as a result of the red card. The Dash and Thorns will face each other twice more in 2017. Their next match-up will be on Saturday, August 5 and Saturday August 19, with both games occurring at Providence Park in Portland. HOUSTON, TEXAS (July 9, 2017) The 2017 CONCACAF Gold Cup kicked off on Friday, July 7, 2017 with two games at Red Bull Arena in Harrison, New Jersey. 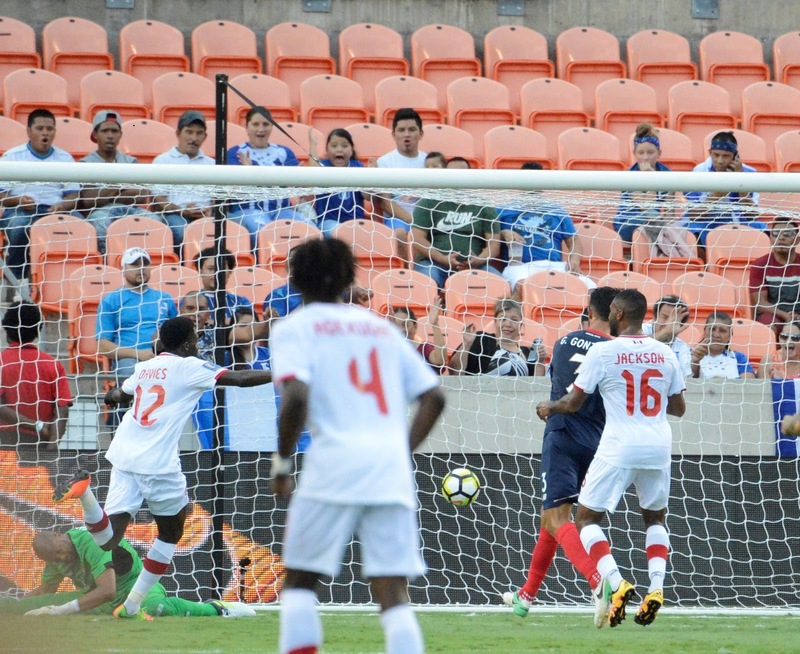 Canada downed French Guiana 4-2 and Costa Rica beat Honduras 1-0 in Group A action. Next up in Group A, with July 11 matchups, finds Costa Rica facing Canada and Honduras playing French Guiana. Group B action saw the United States and Panama battle to a one-all draw, while Martinique downed Nicaragua 2-0 at Nissan Stadium in Nashville, Tennessee on Saturday, July 8, 2017. All four teams will play on July 12 at Raymond James Stadium in Tampa, Florida. Group C kicks off on Sunday, July 9 with Curacao and Jamaica playing the first game at Qualcomm Stadium in San Diego, California. That will be followed by Mexico taking on El Salvador. Each team will play three matches in the group stages, with the top two teams in each group advancing to the knockoff stage. The best two third-place teams in group play will also advance to the knockout round. The CONCACAF Gold Cup began in 1991 with the United States winning the first of their five titles (1991, 2002, 2005, 2007, 2013). 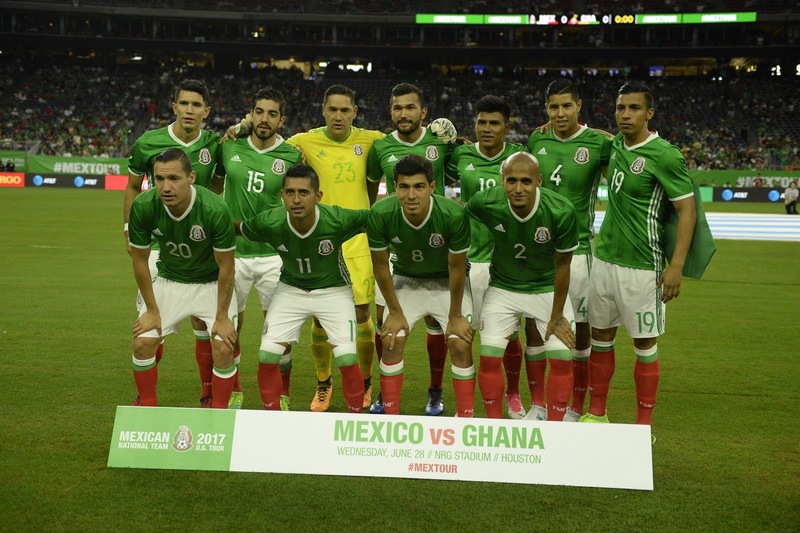 Mexico took the title in 1993, 1996, 1998, 2003, 2011 and 2015. Canada is the only other country to win the title, in 2000. HOUSTON, TEXAS (July 4, 2017) The Houston Dynamo will return home on Wednesday, July 5, 2017 to host the Montreal Impact on their annual "Honoring Our Heroes" night at BBVA Compass Stadium, with the Dynamo celebrating the men and women in uniform who serve our community at home and abroad. The evening after Independence Day will see the Dynamo recognize police, fire fighters and first responders within the Houston community along with active duty military members and military veterans. NASA will also be honored. Men and women in uniform will be featured in on-field activities and around the stadium before and during the game. 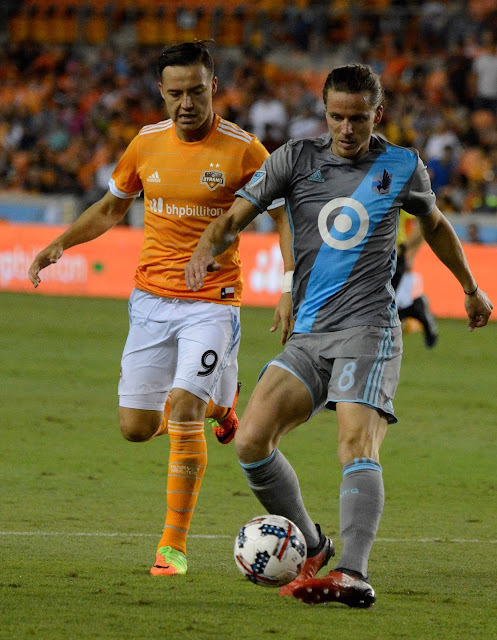 At halftime, they will honor Dynamo legend Brad Davis who is the team's all-time leader in games played, games started, minutes and assists. He officially retired as a member of the Dynamo in February. After the game, the Fourth of July week will be capped off with post-game fireworks. HOUSTON, TEXAS (July 4, 2017) Houston Dynamo forward Erick Torres (No. 9, shown right) has been added to Mexican National Team roster for the 2017 CONCACAF Gold Cup. He was called up for international play after Alan Pulido injured his shoulder playing in an international friendly match against Paraguay this past Saturday (July 1). Torres will join "El Tri" following the Dynamo's game against the Montreal Impact on Wednesday night, July 5, at BBVA Compass Stadium at 7:30 p.m. CDT. He is the fourth Dynamo player to be called in by their respective national teams for the Gold Cup. The trio of midfielder Boniek García and forwards Alberth Elis and Romell Quioto have been called up by Honduras for the duration of the tournament. 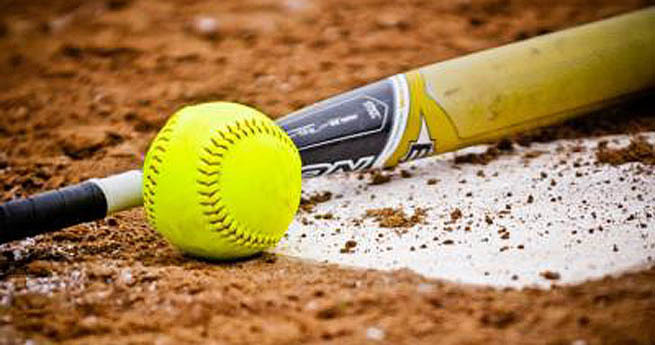 DEER PARK-PASADENA, TEXAS (July 2, 2017) Ten players from three District 22-6A schools were named to the Texas Sports Writers Association (TSWA) All-State Softball Team for 2017. Voting was conducted by TSWA members based on nominations from coaches and media members from around the state. Deer Park High School had six players named to the elite squad, with Pasadena Memorial High School placing three on the team, while Pasadena's J. Frank Dobie High School had one. Of the ten players from District 22-6A, the Deer had one player on the first-team roster, two on both the second- and third-teams, and one player named honorable mention. Pasadena Memorial's three selections and Dobie's single selection were named honorable mention. Listed below are the 22-6A selections. Niko Niko's World Gyro Eating Chontest in Houston. BROOKLYN, NEW YORK (July 2, 2017) At precisely 12 noon EDT, a Fourth of July tradition that goes back over 100 years will occur at the corner of Surf and Stillwell Avenues in Brooklyn, New York. Hot dog, and competitive eating fans) will gather at the historic landmark for the annual Nathan's Famous Hot Dog Eating Contest. The competition will pit two of the greatest eaters in history, Joey "Jaws" Chestnut and Matt "Megatoad" Stonie, against each other in their quest for the coveted Mustard Belt. Chestnut has won 10 of the past 11 contests, establishing a new world record of 70 hot dogs consumed in 2016. Stonie took the title in 2015, consuming 62 hot dogs in the 10 minute conetst. In the female division, three-time champion Miko Sudo will look to retain the pink Pepto Belt. Other contestants include Badlands Booker, winner of the Charlotte, North Carolina qualifier with 24 dogs, Erik "The Red" Denmark (St Louis, MO qualifier, 28 dogs), and Geoffrey Esper (Boston, MA qualifier, 51 dogs). Fans can view the contest on ESPN and WatchESPN at 12 noon EDT on July 4. LONGVIEW, TEXAS (July 1, 2017) The Texas Sports Writers Association (TSWA) has announced their Class 6A All-State Softball Team for the 2017 season. Voting was conducted by TSWA members based on nominations from coaches and media members from around the state. Teams selectced include first team, second team, third team, and honorable mention. Catchers: Ash Wade, Deer Park; Anna Vest, Brazoswood; Hannah Thompson, Dickinson; Kerris Cameron, Longview; Alexis Perry, Wylie; Hannah Scheaffer, Cypress Fairbanks; Sophie Wideman, Waco Midway; Kindell Brooks, San Antonio MacArthur; Caitlin Garcia, Spring; Hope Rodriguez, Edinburg North. First base: Emily Clark, Rockwall-Heath; Caleigh Robinson, Belton; Ashley Reyna, Harlingen South; Tanjala Smith, Killeen. Second base: Jordan Stange, Rockwall-Heath; Mackenzie Bartlett, Belton; Katelyn Belch, Wylie; Judy Alvarez, McAllen. 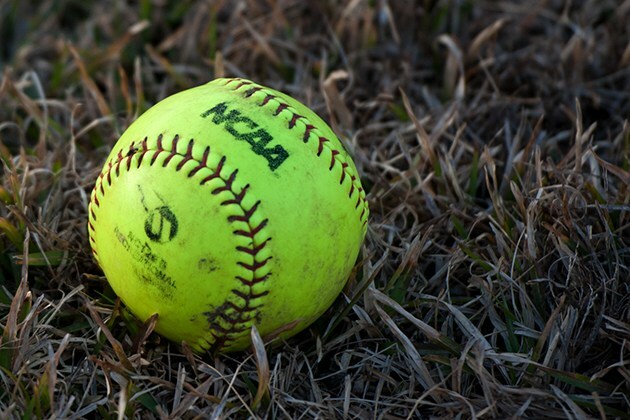 Outfield: Madison Ward, Belton; Brooke Goynes, Longview; Alexandra Torres, Northside Brennan; Casey Akers, Timber Creek; Sheridan Fisher, Cypress Fairbanks; Ashley McClellan, Midland; Madie Green, Timber Creek; Yvonne Whaley, Pasadena Dobie; Bethany Busch, Baytown Sterling; Lauren Kuhrt, Kingwood; Jackie Ramos, Austin Bowie; Aziah James, Spring; Sami Thomas, Coppell; Caraline Woodall, Keller; Karlee Canada, Cypress Ranch; Sarah Polanco, El Paso Montwood. DP/Utility: Savana Mata, Pasadena Memorial; Arsen Franco, Irving Nimitz; Miranda Davila, Belton; Ciara Bosquez, San Marcos. Defensive tackle was named to seven First Team All-America teams in 2016. 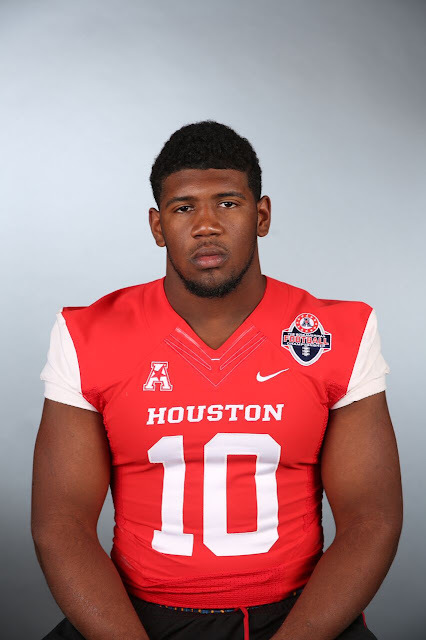 HOUSTON, TEXAS (July 1, 2107) Houston defensive tackle Ed Oliver has been named to The Sporting News Preseason All-America First Team, the publication announced Friday. The preseason honor is Oliver’s second after being named to Athlon’s Preseason All-America First Team on June 20. A First Team All-American on seven teams as a true freshman last year, Oliver leads all returning defensive linemen nationally with 23 tackles for loss. He finished second nationally among all positions in tackle for loss last season while leading all defensive linemen nationally with nine pass breakups. The number also led all non-defensive backs in The American and was sixth in the league regardless of position. The American’s Rookie of the Year, Oliver was also named Scout’s Freshman of the Year and the winner of the 2016 Bill Willis Award, presented annually to the nation’s top defensive lineman by the Touchdown Club of Columbus. Playing out of the tackle spot on a three-man line, he was second nationally among all defensive linemen with 47 solo tackles and 13th among all defensive linemen nationally with 66 total tackles. Oliver’s 66 tackles were second among all freshmen in The American, regardless of position, and led all freshmen defensive linemen nationally. His five sacks led all freshmen in The American. Oliver also led Houston and finished second in The American with three forced fumbles, a number that ranked second nationally among freshmen.